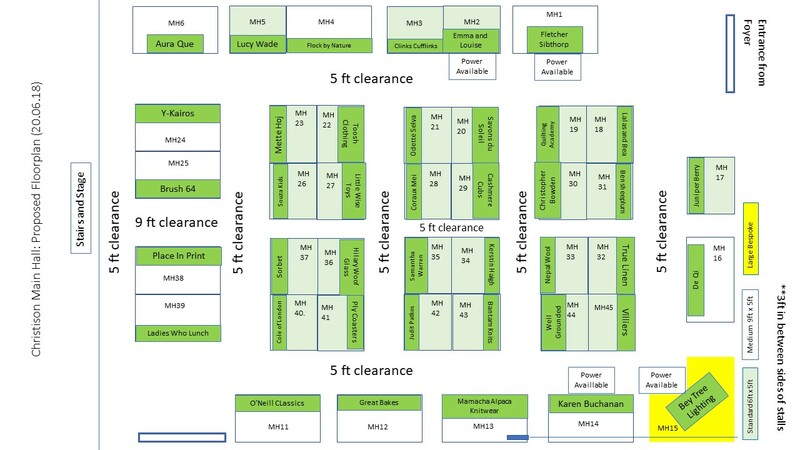 Click on any map to see a larger version. 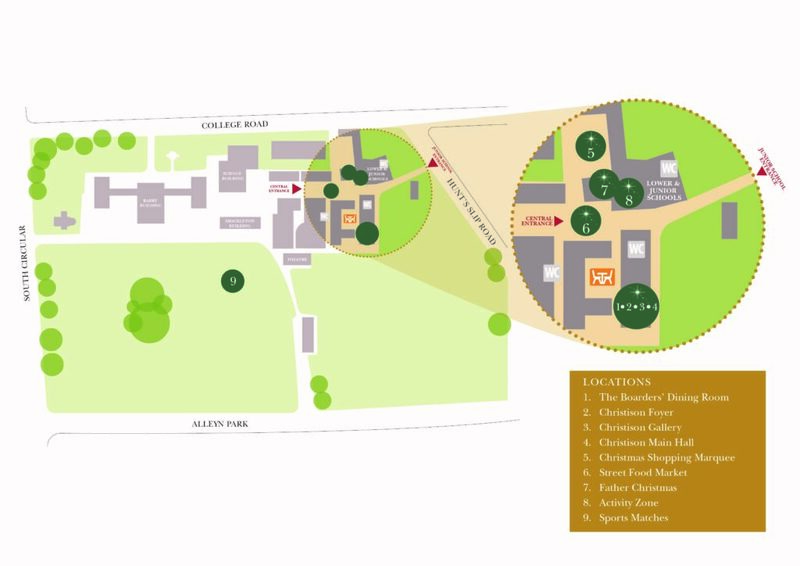 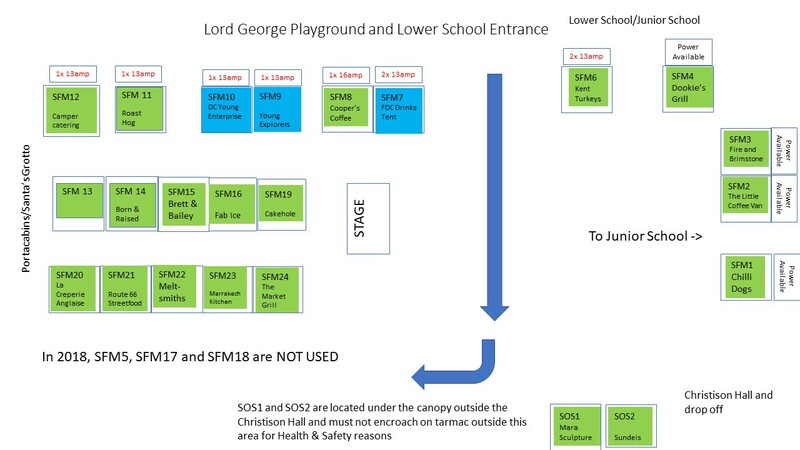 The first map is the site map which shows the location of the rooms. 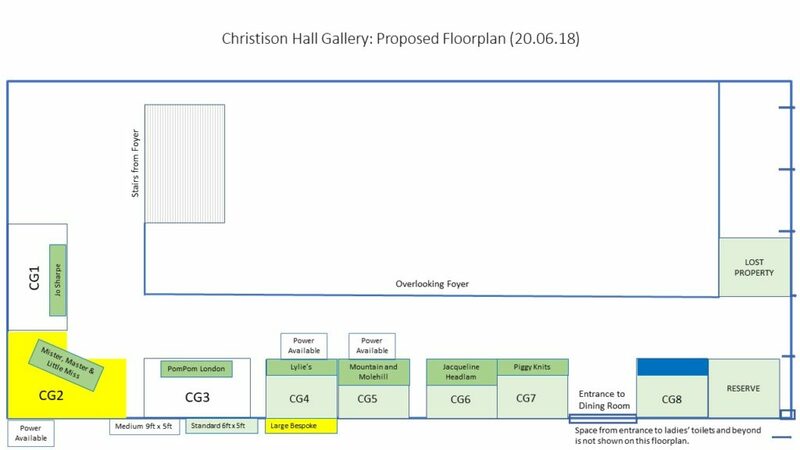 The other maps show the layout of each of the rooms. 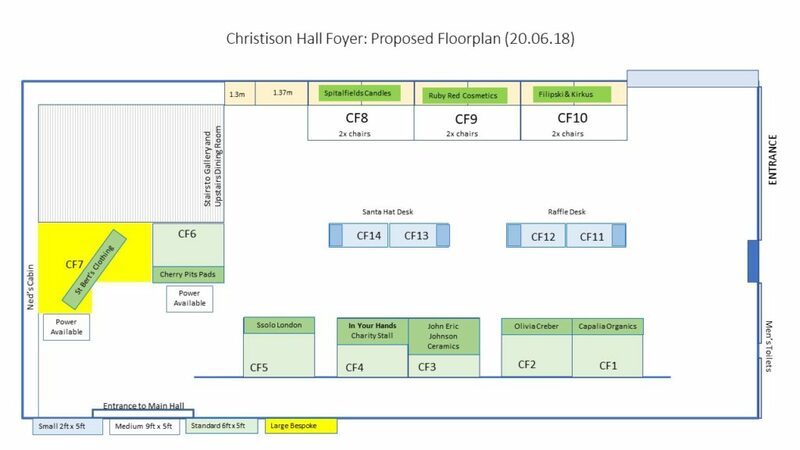 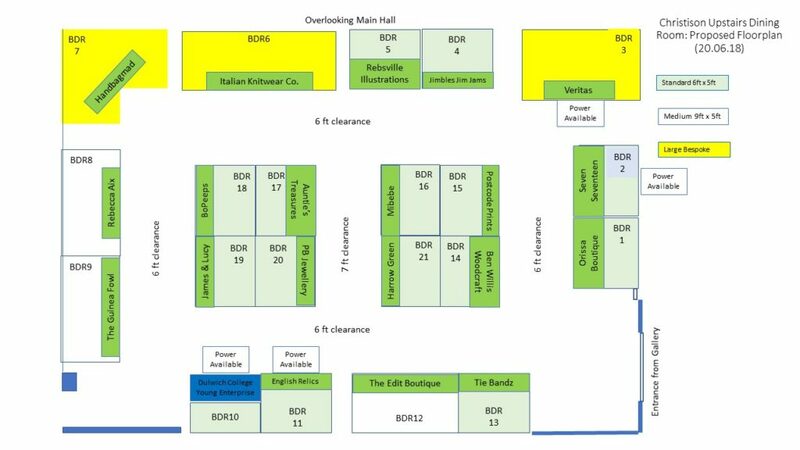 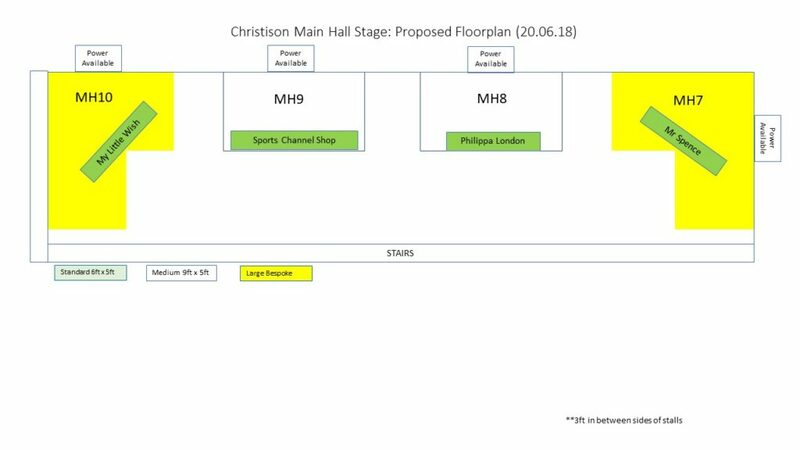 As in 2018 we will be holding the Fair at the south end of the site (right hand side below) and the indoor stalls will be in our Grade II listed Christison Hall. 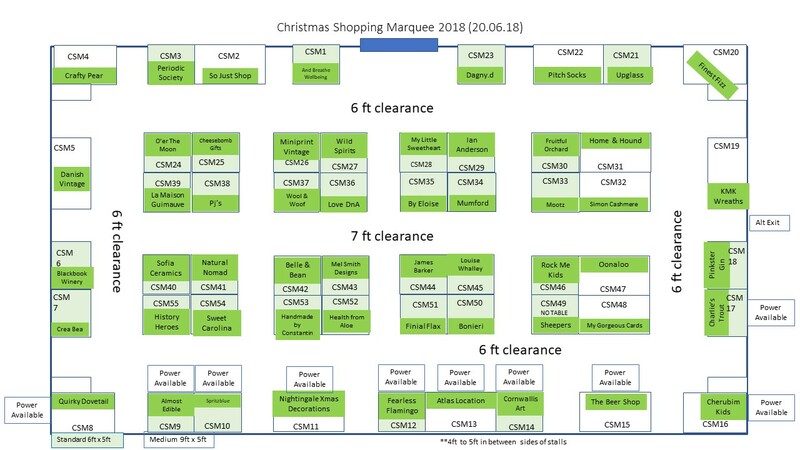 The Christmas Shopping Marquee will be re-sited next to the new main Fair entrance on College Road, with the Lower School building providing added shelter. The College reserves the right to change the number and layout of the stalls for operational, health and safety or any other reason at any time.